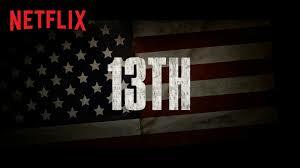 Brief Synopsis – A documentary that tries to make a connection between the ever-growing prison population and the ratification of the 13th Amendment that abolished slavery. My Take on it – I was looking forward to seeing this film ever since I heard about it a few months ago. Unfortunately, the way that the film is presented really disappointed me. I was hoping and expecting a more unbiased look at the situation, but instead it feels as if the whole film is just a politically charged diatribe instead of a thoughtful discussion about how the system doesn’t actually work as well as expected. I realize that the themes and topics discussed here are political dynamite and that is why it is extremely important to present them in an unbiased manner. I know that this movie has many people backing it’s important message, but I just didn’t like the way it was all shown to us. I wish they had found a better way to present this information to us so that it doesn’t feel as forced as it seems. Bottom Line – Extremely disappointing how this film feels too politically charged instead.of trying to give us an unbiased perspective. Yes, the themes discussed are filled with dynamite but there must be a better way to present such information.